In this series, Chris will cover the basic - as well as some very specific - behavioral traits and responses elk exhibit when they're interacting with each other, their habitats, and with us when we're in the field, and how those behavioral characteristics should influence your hunting and calling strategies. In this series, Chris also discusses the use of decoys, from a behavioral standpoint. Hours of instructional videos covering a variety of bull and cow vocalizations which take an in-depth look at what each vocalization means, how to reproduce it, and how you can effectively use each vocalization in the field. 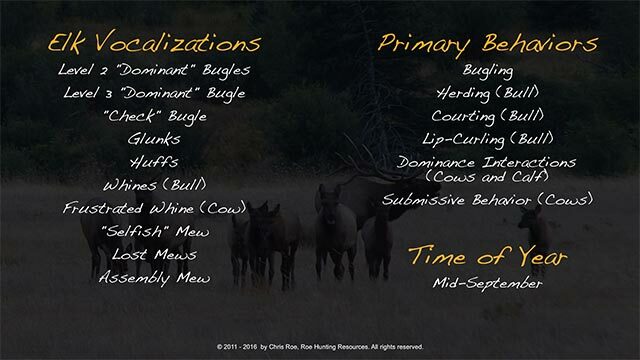 In addition to the separate Elk Behavior series, Chris spends some time talking in these series about bull and cow linguistics, behavior and how a particular vocalization should be used to help you become an actual elk linguist. Whether you’re just starting out in the world of elk hunting, or are a seasoned veteran, at some point your thoughts turn to elk calls. But with so many calls to choose from, it can be a bit confusing – if not overwhelming – trying to figure out how different calls are used, how to get the best sound out of them, how they sound in comparison to each other, and which one(s) you should buy. In this extensive series for both cow calls and bugles and bugle tubes, Chris not only covers how each of the calls is used and how to get the best sound out of them, he also talks about the advantages and disadvantages of each call. Chris is asked all the time about how he goes about locating bulls, especially during the midday hours. In this series, he goes over the hows and whys regarding prospecting for a new area, how to call to try to solicit a response, how much patience it can sometimes take, and then - when he does get a response - how to move in and get set up. It's probably safe to say we all like to chase screaming bulls, but how many folks can wait to hunt until the peak of the rut at the END of the season? What if waiting until later in the season might be a mistake? In this 8-part video series, Chris Roe will talk about several factors that influence the rut, and rut timing, and he's NOT talking about the Moon Phase! "The Gallery" puts you in the field - in the HERD - so you can observe and listen to the animals themselves, and learn from the very best. With just a click of a mouse, you can be in elk country any time you want! Designed to help maximize your comprehensive learning opportunities, "The Gallery - Elk Edition" provides hours worth of multiple video sequences showing wild, free-ranging elk, naturally interacting with one another. From cows interacting with their calves, to big, screaming herd bulls defending their harems, "The Gallery" lets you feel like you're a part of it all! Like all of Roe Hunting Resources materials, behavioral contexts, interactions, and vocalizations in each video are identified, and explained, from a sound biological, behavioral, and scientific standpoint. 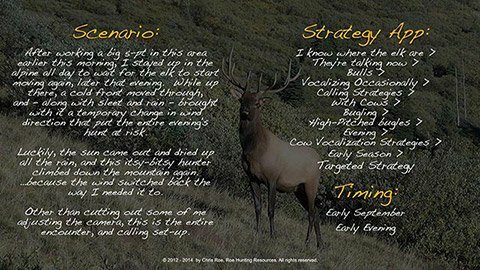 "Strategies in Action" is designed as a companion resource to the "Elk Hunter's Strategy App" and the other instructional videos. This video series lets you see us in the field - using the materials, principles, concepts, strategies, and tactics discussed in the app and the instructional videos - working elk, calling in elk, and hunting elk. We have hours of video footage and will continue to add more and more as time goes on. We hope you enjoy the videos as much as we enjoyed bringing them to you, and look forward to bringing you more in the future. As always, we're here to help you "Hunt Smarter" and "…Make the Right Call" in all your hunting endeavors! 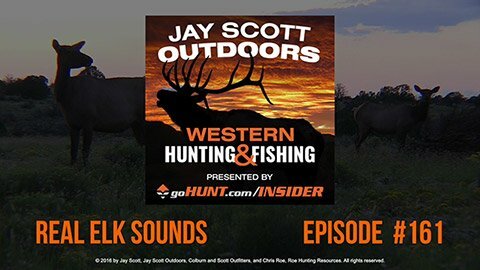 In this series, you can watch the video component of Jay Scott Outdoors Podcast episodes of "Real Elk Sounds." Be sure to download the audio and commentary for these episodes through the Jay Scott Outdoors Podcast (linked through www.JayScottOutdoors.com, and available through PodBean). RHR Elk Module or Full Access subscribers can then watch the video of the elk actively engaging in the vocalizations, communication, and behavior discussed in the podcast. Go HERE for more elk and turkey hunting podcasts recorded by Chris Roe and Jay Scott Outdoors. 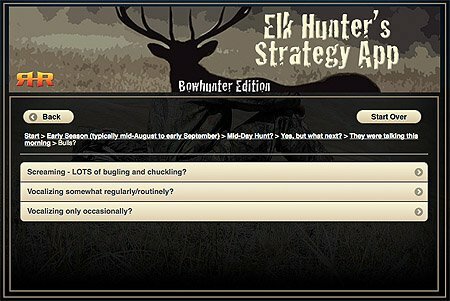 Developed by professional and degreed wildlife biologist, elk behavior and communication expert, and accomplished elk hunter, Chris Roe of Roe Hunting Resources, the Elk Hunter's Strategy App incorporates decades of experience and education on elk biology, behavior, vocalizations, communication, hunting strategies, and set-ups, and puts that information right at your fingertips. 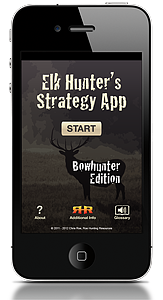 The first of its kind, it still remains the most comprehensive elk hunting app available on the market today. A web-based version is available with all Elk Module and Full-Access Subscriptions.